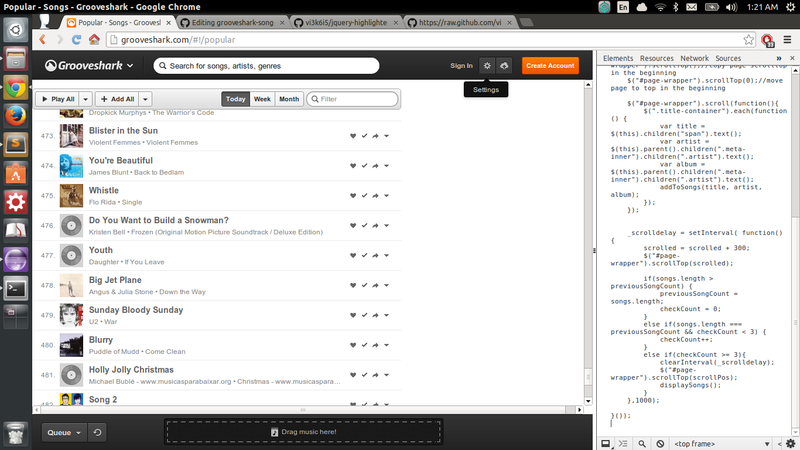 A simple Js to download the list of song from grooveshark. 1. Copy js from the linked source. 2. 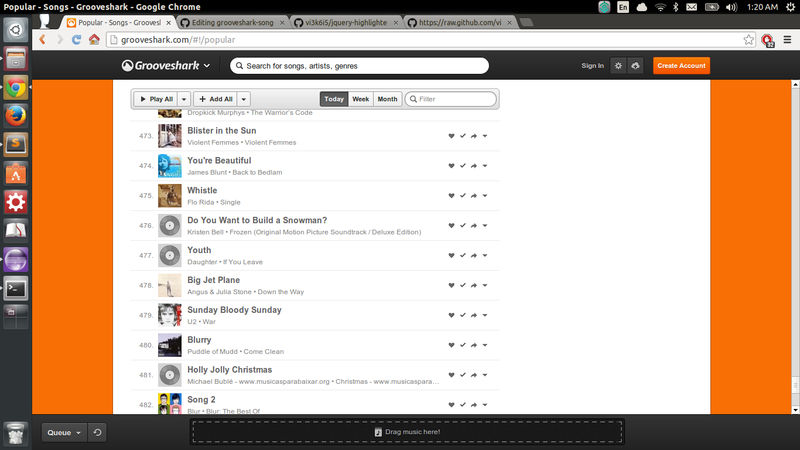 Open grooveshark page that has a song list. 4. Paste the JS in the console and Press Enter. 5. 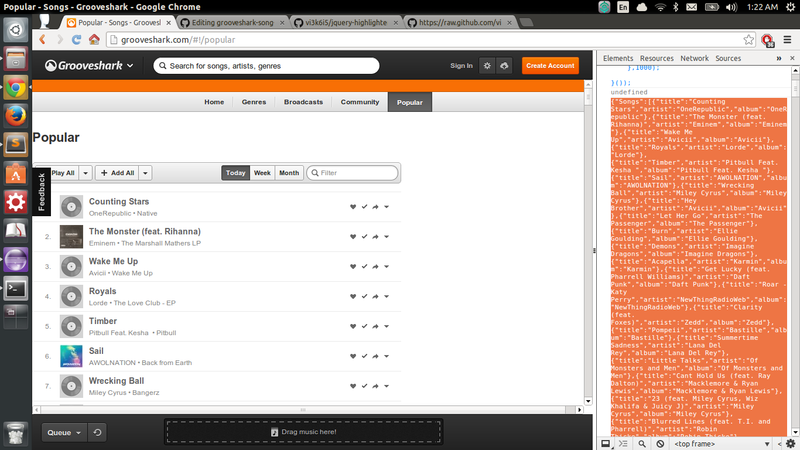 Leave it for some time as the process for downloading the list of songs is lengthy and takes time. 6. 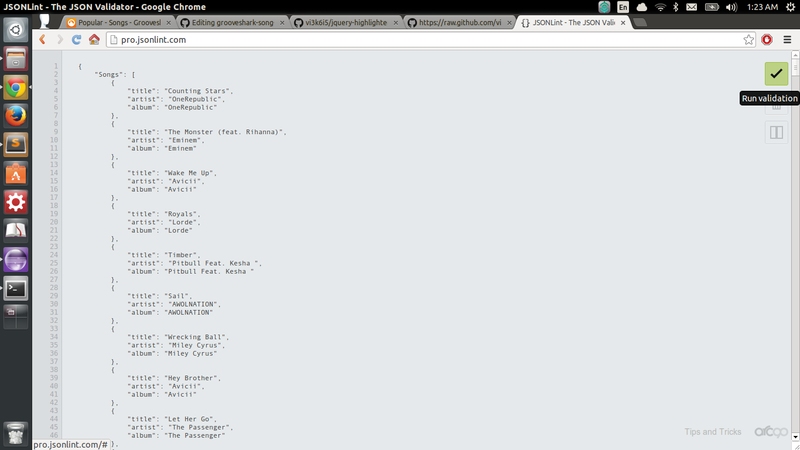 At the end of the script execution a list of songs will be printed on console in JSON format. 6. Copy the list and you may organize the list at your favorite Json Processor. 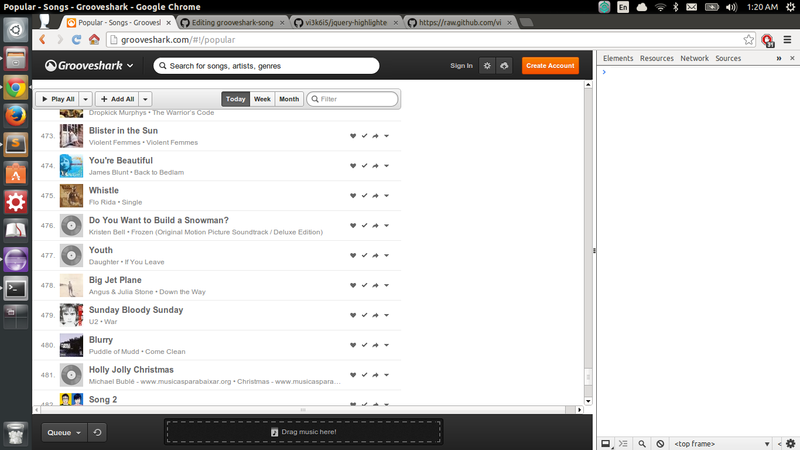 PS: I did this project because grooveshark does not provide a direct means to download the list of songs. Also at any point of time they only load 40 songs on the page. Hence it was a little challenging to download the list, and so this JS came into being.